Politics. Development Economics. Political Economy. General Social Science. Dar es Salaam is a pleasant town in late June. I had only been there once before, back in 2011 when I stayed for a day and a half to catch the Tazara. I didn’t like it then because of the heat and humidity (humidity is up there with cats – I am allergic – on the list of things I cannot stand). But this time round it was nice, I managed to walk around town marveling at the pillars of concrete and glass that are rising up in every corner of the city. The construction boom puts even Nairobi to shame, enough to make me think that the suggestions that Tanzania may soon eclipse Kenya as the place where all the action is in East Africa are not that far fetched after all (see image and this piece). My only complaint was that a prime section of the beach front still remains under-utilized, although this might be because of the presidential palace nearby. I hear you can’t drive there at certain times of the day (Stop channeling Mugabe, Bwana Kikwete. Also, let Chadema be). Oh, and I did manage to drive on the Kibaki road. I thought it was a new road, but it is not. Sections of it are actually pretty bad. Apparently, the Tanzanian government is planning an upgrade soon. I also drove past Mwalimu Nyerere’s home. It made me respect the man even more. I arrived in Dar late on Tuesday night after many hours of travel by bus. On Thursday morning I was scheduled to continue with the second leg of the journey to Lusaka. I was at the bus stop by 5:45 AM, still sleepy. I had stayed up late the previous night, watching the Confederation Cup matches of the day, reading and writing my Saturday column. I fell asleep as soon as I got to my seat. 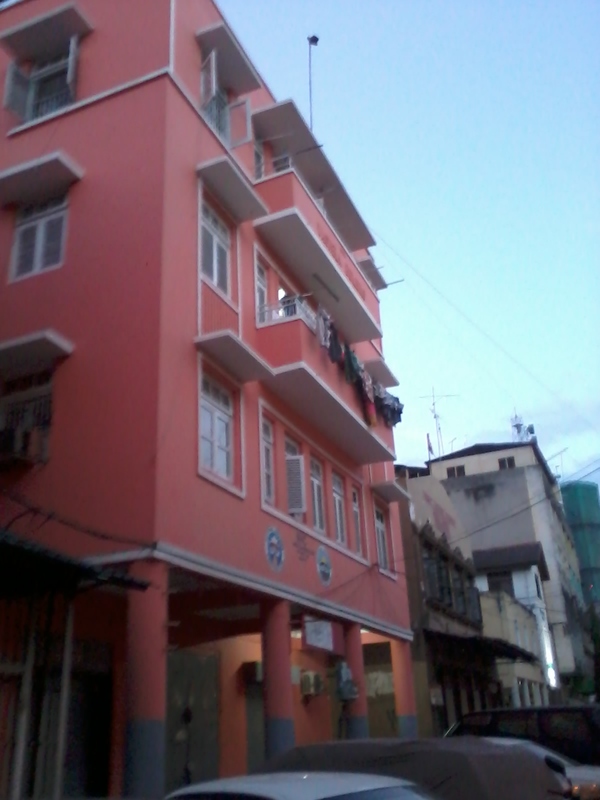 Dar’s public housing units. For a moment I thought that the choice of color was meant to discourage applicants. Until I saw the pink public housing headquarters. Some of the units are in really nice parts of town. The bus left the station promptly at 6:15 AM. Tanzania is huge. 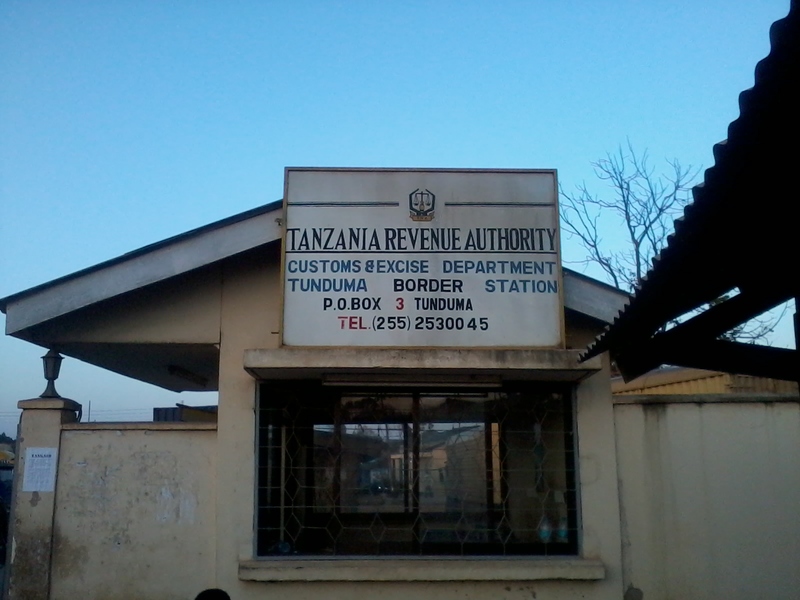 From Dar es Salaam to the Tunduma border is about 931 kilometres. The drive to the Zambian border took a total of 16 hours. As I said in the previous post on this trip, I regretted taking the bus. If you want to travel overland between Dar and Lusaka, take the train. It is a million times more pleasant. There is a restaurant and a bar (that serves Tusker) on the train. There are bathrooms. And you have a bed. Plus the train is just slow enough that you can read and truly appreciate the empty Tanzanian countryside. But the trip wasn’t all gloomy. The scenery was still enjoyable. Sections of Tanzania are quite hilly, with amazing views of cliffs and rivers and rock formations. At some point past Iringa I saw what seemed to be the biggest tree plantation in the world. For miles and miles all I could see were rows and rows of trees. And when there were no trees there were rows and rows of sisal. Someone is making bank off the land in that part of the country. Also, western Tanzania is a lesson on how hard it is to achieve economic development in the context of a sparsely populated country. Such situations make it impossible to reach everyone with the grid and water pipes. 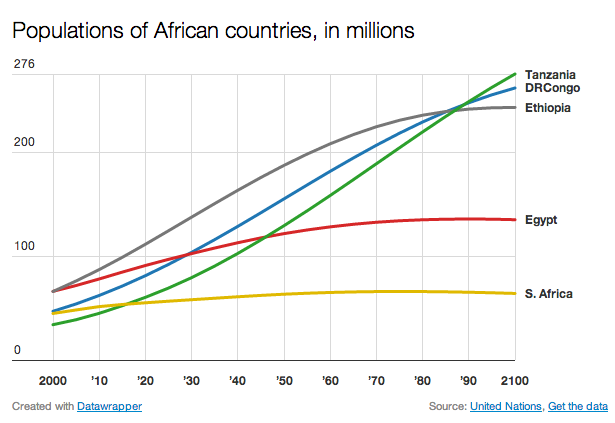 Either the government has to wait for demographics to work its magic (again, see figure above – and be sure to check out this story on the Africa-driven demographic future of the world) or provide smart incentives to accelerate the process of urbanization. For those who went to high school in Kenya, journeying by land through Tanzania reminded me of Ken Walibora’s Siku Njema. I felt like I was retracing the steps of Kongowea Mswahili. Some day I would like to go back and spend some time in Morogoro and Iringa. By the way, Siku Njema is by far the best Swahili novel I have ever read (which reminds me that it has been eight years since I read a Swahili novel. Suggestions are welcome, preferably by Tanzanian authors). It is about time someone translated it into English for a wider audience. We reached Tunduma some minutes past 10 PM. The border crossing to Nakonde on the Zambian side was closed. Some passengers on the bus left to rent out rooms for the night. I decided to tough it out on the bus with the crew and a few other guys. Desperate for something warm to eat, I had chicken soup and plain rice for dinner. The “restaurant” reminded me of the place in Tamale, Ghana where Vanessa and I got food poisoning two months earlier. But I was desperate. I quickly ate my hot soup and rice and hoped for the best. I crossed the border early in the morning on foot. The bus had to wait in line for inspection and to pay duty for its cargo (It is at this point that I learned that the bus was actually going all the way to Harare in Zimbabwe). I am usually very careful with money changers, but perhaps because of my tiredness and lack of sleep the chaps in Nakonde got me. If you ever cross to Nakonde on foot wait until you are on the Zambian side to exchange cash at the several legit forex stores that line the streets. The bus finally got past customs at noon (on Friday). In Nakonde we waited for another two hours for more passengers and cargo. I took the time to get some food supplies. Lusaka was another 1019 kilometres away. By this time I was dying to have a hot shower and be able to sleep in a warm bed. It was cold. Like serious cold. And Lusaka was still another 14 hours away. I slept lightly through most of the 14 odd hours. In between I chatted with two Kenyan guys that were apparently immigrating to South Africa, with little more than their two bags. They said that this was their second attempt. The previous time they found work in Lusaka and decided to stay for a bit before going back to Nairobi. They were part of the bulk of passengers from Nakonde who were going all the way to Harare. Apparently, this is the route of choice for those who immigrate from eastern and central Africa into South Africa in search of greener pastures. Before it got dark we saw several overturned trucks on the road. I slept very lightly, always waking up in a panic every time the driver braked or swerved while overtaking a truck just in time to avoid oncoming traffic. My only source of comfort was the fact that the driver was a middle aged man, most likely with a family to take care of and therefore with a modicum of risk aversion. I arrived in Lusaka at around 4 AM, more than three days and 2871 kilometres since leaving Nairobi. I said goodbye to my two Kenyan countrymen and rushed out of the bus as soon as I could. On the way to my hotel I couldn’t stop thinking how much I would like to read an ethnography of the crew of the bus companies (and their passengers and cargo) that do the Dar to Harare route. At Lusaka Hotel that morning I had the best shower I had had in a very long time. And slept well past check out time. I had two months of fieldwork and travel in Zambia to look forward to. The guy who runs the place I am staying at in Lusaka tells me that the only construction going on in town is of shopping malls and expensive residential houses that no one will afford. President Michael Sata, he argues, is bent on turning Zambia into Zimbabwe. Michael Sata (a.k.a King Cobra) may not go the way of uncle Bob in Zim but he is definitely not the hope for change that Zambians voted for back in 2011. The growth in the economy (6% on average in the last decade, 7.3% last year) is barely trickling down and the ruling PF seems too preoccupied with killing the opposition to care. The old duo of Scott and Sata seem out of ideas on how to translate the country’s economic growth into wider socio-economic transformation. Indeed the African Development Bank in its latest report on the Zambian economy noted that “Zambia has yet to achieve significant gains in social and human development. The poverty headcount remains high, with about 60% of the population still living below the poverty line.” The economy is imbalanced, heavily dependent of capital-intensive copper mining that it barely taxes (80% of exports, but paltry a 6% of revenue). This time round instead of doing air (Nairobi-Dar), rail (Dar-Kapiri) and road (Kapiri-Lusaka), I decided to do it all by road. This turned out to be a terrible idea. Leaving Nairobi was itself an adventure. Despite Vanessa’s well-intentioned “alarm clock” calls to make sure I was up and ready by 5 AM, I missed my bus (I also missed my bus the first time, which is why I flew to Dar es Salaam). However, this time round it was my dad who was dropping me off and because he is a lot more daring that me and my brother, he decided to chase the bus (we were barely five minutes late, thank you very much Nairobi traffic at 5:45 AM). We did not catch my bus (Dar Express), but caught up with its competitor (name withheld for legal reasons, see below) after it had been stopped by the traffic police on Mombasa road for lack of a passenger license (it had a cargo license). Let’s just say that I was mightily impressed by my dad’s driving skills. I wish I were as daring. So after the police got their cut (which I later found out was Kshs 5000, about US $60) we set off on the journey to Dar. The conductor on the new bus was kind enough to give me a free ride to Namanga (only Tanzanians can do this!!!) with hopes of catching up with Dar Express – in the end we did not, and I had to pay Kshs 2000 for the rest of the journey. The last time I was on the Nairobi-Arusha road was in 2009 when it was all no more than a dirt track that left you caked in thick red-brown dust. Now it is all paved. 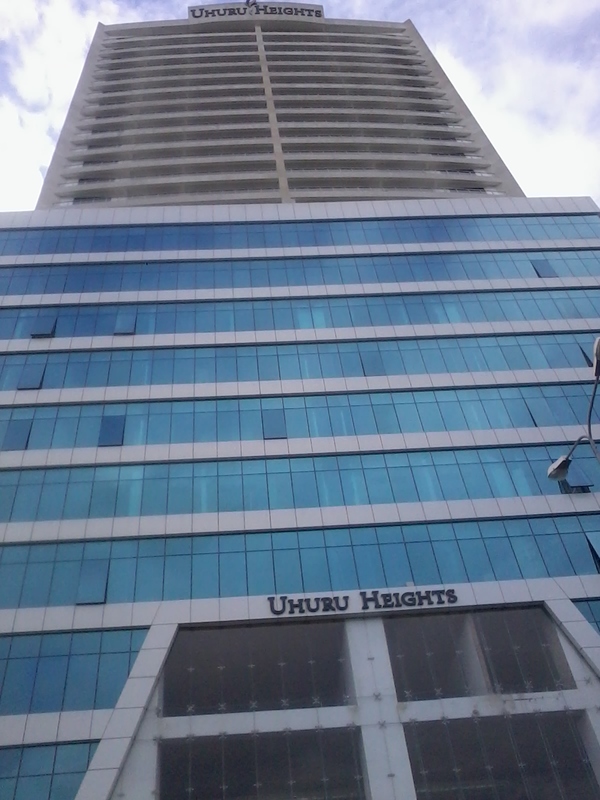 Nairobi-Namanga took a dizzying three hours. Just over an hour and a half after that we were in Arusha. After Arusha we sped to Moshi where we were caught up in the Prime Minister’s motorcade as he went to the city referral hospital to visit victims of the recent bombing at an opposition rally in Arusha (Arusha is the Chadema (Tanzania’s main opposition party) stronghold; but even in Dar the few people I spoke to about politics did not have nice things to say about the CCM government, especially with regard to rising inequality and corruption – yeah, I just totally Tom-Friedmanned that one). I must say that the Nairobi-Dar road is impressive. Save for about one hour total of patches that were still being done about two hours outside of Moshi, most of the road is paved. 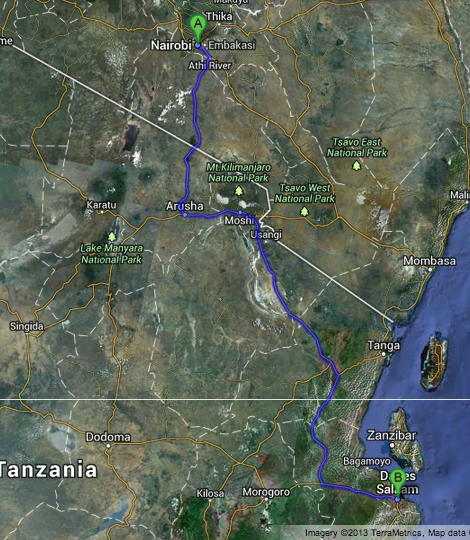 Sometimes I forget how massive (and hence empty) Tanzania is. Namanga-Arusha is marked by flat plains, rolling hills and mountains. In the plains cattle rearing appeared to be the economic mainstay (unfortunately, with school age kids herding tens of cattle and sheep – wake up, Tanzania ministry of education). The hilly and mountainous areas mostly have maize and coffee. After the hills there are vast sisal plantations that stretch from horizon to horizon. Arusha and Moshi are the only big towns on the Namanga-Dar route. I particularly like Moshi (or may be I just don’t like touristy, expensive Arusha). It is a town with character, combining a provincial feeling with urban comforts. It also has some nice public monuments. I rarely see weigh bridges on Kenyan roads (besides the infamous two in Gilgil and on Mombasa road) but in Tanzania they are plenty. And they are not just for the trucks, but also cater for passenger buses. 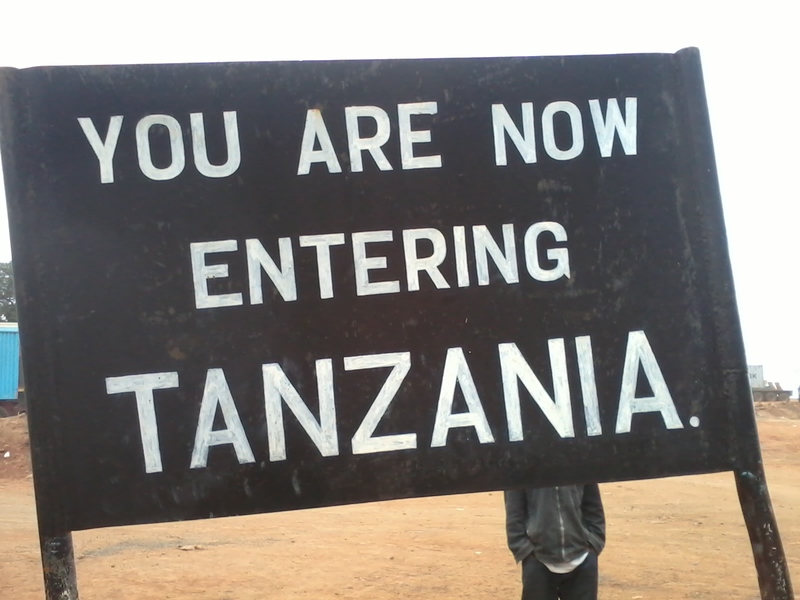 Most of the trucks on the route were connecting Uganda, Rwanda, Burundi and the eastern DRC to the port in Dar. The passengers on the bus consisted of businesspeople (mostly Kenyans and Congolese), random travelers like myself, and tourists (most of who alighted at Arusha). On the Kenyan side, between Nairobi and Namanga we had a total of 5 police stops. On the Tanzanian side between Namanga and Dar there were 6 police stops and about 4-5 weigh bridge stops – the Tanzanians definitely police their roads more keenly. The police on the Tanzanian side were on the lookout for khat/miraa (illegal in Tanzania, and a beloved commodity of truckers) from Kenya and other contraband. True to EAC hospitality, I did not have any problems with immigration at Namanga (unlike in Nakonde, Zambia) or at any of the police check points (officers came on board to check passports). Talking to Tanzanians reminded me of just how bad Kenyan Swahili is – we must sound to Tanzanians like the Congolese sound to us whenever they speak whatever it is they call Swahili (*ducks and runs*). The bus arrived in Dar es Salaam about 20 hours after leaving Nairobi (Not bad for a US $42 ticket), despite having been made to believe that the trip would take 13 hours. It didn’t help that I ignored Vanessa’s advice to pack food, hoping to buy stuff on the road – the first food stop was six hours into the trip, I had not had breakfast. Exhausted, hungry and mad at myself for taking the hard way to Dar I decided to get a room at the Peacock Hotel. It is not fancy (probably a 4 star?) but it has hot water, the rooms are spacious, and there’s fast internet. They also have a nice restaurant downstairs (Tausi) and are within walking distance to the port and other sites of interest in Dar – a Subway, Indian restaurant, the national library, banks, etc. I had a day to burn in Dar reading, writing and walking around in readiness for the second leg of my trip to Lusaka, again by road. There are no surprises expected from the general elections in Tanzania, held on Sunday. The electoral body has not declared the presidential results yet (leading to reported riots) but no one expects Jakaya Kikwete to lose to Chadema’s Willibrod Slaa. Chama Cha Mapinduzi (CCM), the hegemonic party that has ruled Tanzania since unification, is also expected to maintain its majority in parliament. More on this as soon as the final official figures become available. Mr. Kikwete won 80% of the vote in 2005. What do poor people think about direct cash transfers? Is Kenya (and Africa) splitting in two? Are Africa's political and economic elites the most complacent class in the world? In the wake of the Christchurch attack, New Zealand said on Wednesday that it would work with France to bring together countries and tech companies in an effort to stop social media from being used to promote terrorism and violent extremism, . North Korean leader Kim Jong Un and Russian President Vladimir Putin will meet on Thursday in the Russian Pacific port of Vladivostok to discuss the international standoff over Pyongyang's nuclear program, a Kremlin official said. Forces supporting Libya's internationally recognized government pushed back troops loyal to eastern commander Khalifa Haftar to more than 60 km (37 miles) southwest of the capital, Tripoli, on Tuesday, Reuters reporters said.